cotton both type combed and carded ,100%polyster,pv,pc,tex. my company name is m/s.prem shree yarn purchage and sale all types of yarn 100%cotton,100%poly,pc,pv,tex,etc. 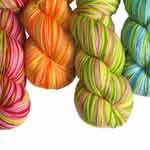 a leading yarn agency and trading in bhilwara and all over india.